The health advice we’ve been given about avoiding saturated fats is just plain wrong: the fats, from meat, butter, cream and cheese, don’t raise the risk of heart disease and instead have a protective effect, a new study has concluded. People who eat a lot of saturated fats are less likely to suffer from heart problems, and instead have much healthier bio-markers, such as improved blood pressure, cholesterol, insulin and blood sugar levels. 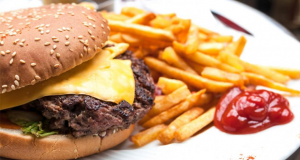 Despite being told for more than 50 years that saturated fats cause heart disease, the real bad guys are the processed, flour-based products, highly-processed fats and foods with added sugar, say researchers from the University of Bergen in Norway. Whether we eat carbohydrates or fats, the real key is to make sure that they are not processed, say the researchers who examined the impact of eating large amounts of the two food groups among 38 men, who all had fat accumulated around the abdomen, liver and heart, and were considered obese. 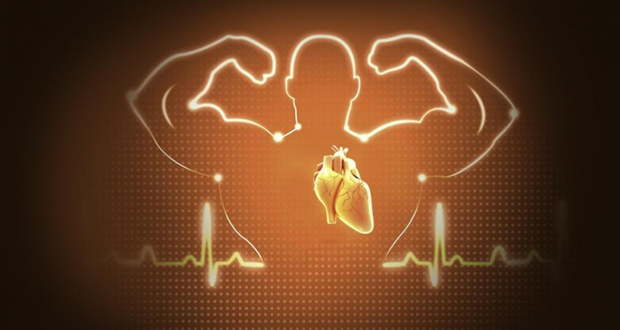 Despite the abdominal fat, usually considered to be a risk factor for heart disease, the men were at very low risk because all the usual markers were “substantially improved” when the men were put on the high carb/high-fats diet, known as FATFUNC. All the carbs and fats were low-processed foods or weren’t processed at all. Although saturated fat intake increased dramatically as part of the diet, the levels of the so-called ‘bad’ cholesterol, LDL, didn’t increase, and the ‘good’ HDL cholesterol rose only among the men eating the high-fat diet. “Most healthy people probably tolerate a high intake of saturated fat well, as long as the fat quality is good and total energy intake is not too high. It may even be healthy,” said lead researcher Ottar Nygard. Overall, warnings about eating good-quality fats have been exaggerated. Instead attention should be turned to processed flour-based foods, highly-processed foods and those where extra sugar has been added.